VIDEOBALL is a sport everyone can play. VIDEOBALL is simple enough for a party. VIDEOBALL is deep enough for the best party ever. 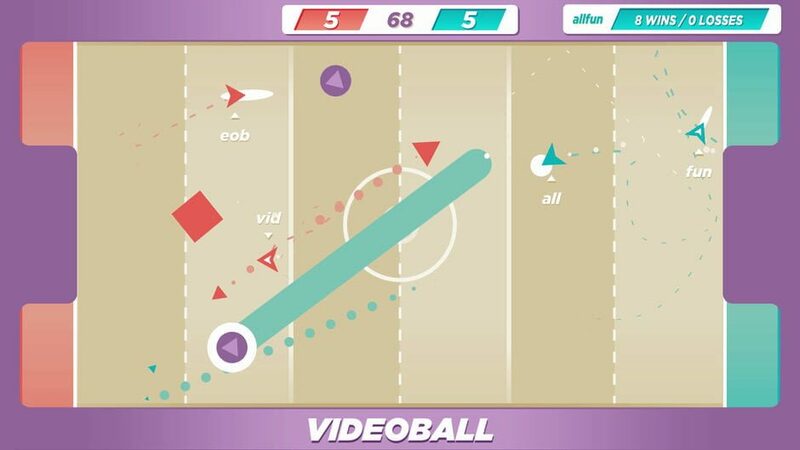 VIDEOBALL combines our favorite elements of arcade shooting games, modern first-person shooters, and modern real-time strategy games with the depth of soccer, basketball, hockey, football, and rugby. 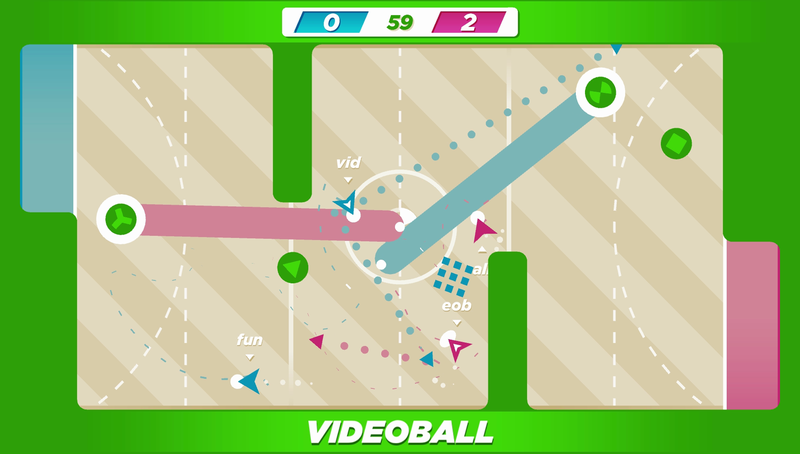 In VIDEOBALL you maneuver a player using directional buttons or either of your controller's analog sticks. Press any button or pull any trigger to project a triangle. Only triangles can push balls. 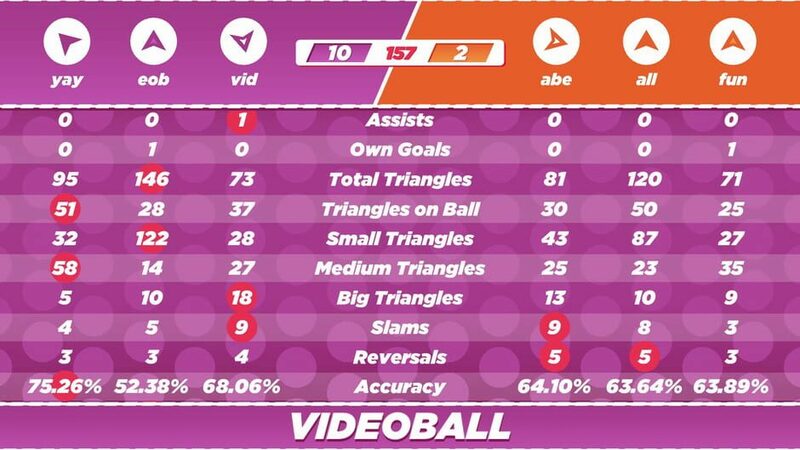 Triangles also stun players on impact. Hold any button to charge bigger triangles. Bigger triangles push harder. 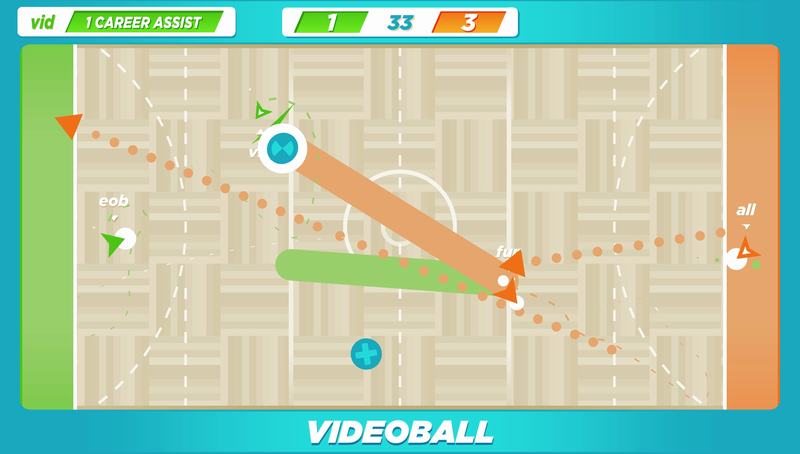 Push balls into the opposing goal to score points. Hold a button long enough to build a defensive square. 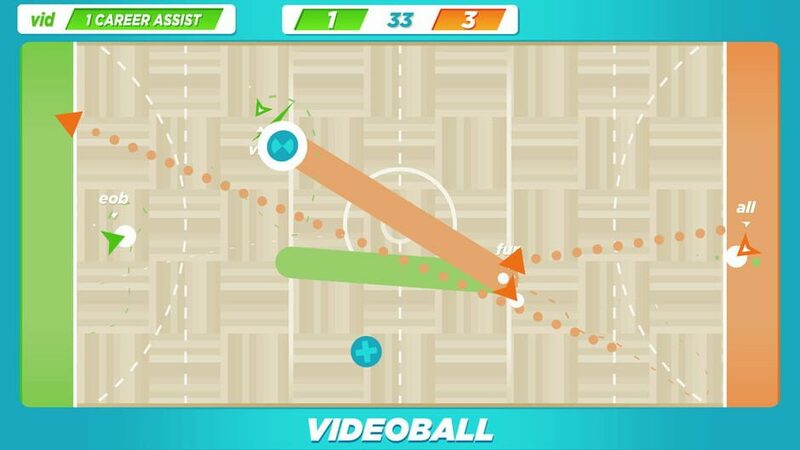 Shoot defensive squares to destroy them. 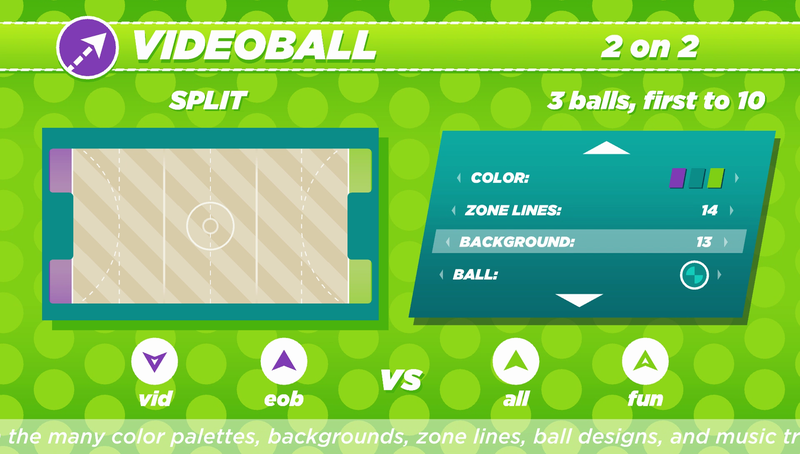 There are far more images available for VIDEOBALL, but these are the ones we felt would be most useful to you. If you have specific requests, please do contact the developer!